It is nearly impossible not to come across the concept of ’trust’ when reading anything about superannuation and self-managed super funds (SMSF), but what exactly is it? A trust is a legal agreement whose purpose is to manage the assets entrusted by trustees for their beneficiaries. The objectives and provisions within the trust agreement are legally binding as long as the trustee created the trust with a sound mind and body. How and when beneficiaries will receive anything from the trust depends on the terms and conditions of the agreement, but trustees are always required to act in their behalf. What makes a trust a legal agreement? Trusts are legally binding agreements. As long as they do not violate laws, the law will recognise its legitimacy as a vehicle to secure and transfer assets. Trusts are allowed to ‘own’ properties, manage assets and dictate what will happen to the assets within it, even after the original trustee dies. Creating a trust is like establishing a corporation with a vision and mission to work towards a certain goal. That goal may or may not be realised during the lifetime of the original trustee, but the trust must always work towards its objectives for the sake of its beneficiaries. For instance, a person may create a trust and transfer legal ownership of their house, farm and bank accounts to the trust so that those assets will be handed over to their children upon the trustee’s death or when beneficiaries satisfy certain conditions. A trustee may even indicate that none of the beneficiaries are allowed to sell or rent out any of the trust’s properties up to 20 years after their death. Any beneficiary who violates the trust’s rule could be held legally accountable in court. Super funds and SMSFs may only work towards securing the retirement benefits for its members through a trust fund. In terms of super, the trust is whichever retirement plan a contributor or beneficiary chooses to invest their retirement savings in. The trust is managed by a professional fund manager. The Super must always be aligned with objectives and investment strategy chosen by the trustor (roles within the Trust are discussed in the next section). Super contributors who violate the laws may be penalised and taxed accordingly. For SMSFs, they are required to comply with the sole purpose test, Superannuation Industry (Supervision) Act 1993 (SISA), Superannuation Industry (Supervision) Regulations 1994 (SISR), and other related tax laws. Any breach in existing regulations could result in civil and criminal charges. Is there only one type of trust? Living or inter vivos trust: This is where Super funds and SMSFs fall under because living trusts take effect upon their creation. It doesn’t matter if beneficiaries will benefit from the trust while the trustor is alive or upon death, the important part is that the terms of the trust are already in effect even while the trustor is alive. This means a trustor could keep adding assets to the trust for the beneficiaries. Testamentary trust: A testamentary trust is created if a deceased trustor expresses in their last will and testament that they want to set up a trust for their assets. It doesn’t matter if the beneficiaries die ahead of the trustor, the establishment of testamentary trusts will depend solely on the trustor’s death. Revocable trust: Revocable trusts may be amended during the lifetime of its trustor. A trustor has the power to update the terms of the trust, change investment strategies or add and remove beneficiaries when they see fit. This is called a revocable living trust, or more simply, a living trust. Not all living trusts are revocable but all revocable trusts are living trusts. Irrevocable trust: This type of trust does not allow amendments regardless of reason. Irrevocable trusts applies to testamentary trusts since the trustor is no longer alive to make changes, and their last will and testament must be followed. No amendment are allowed unless it is expressly permitted in the deceased trustor’s will. All testamentary trusts are irrevocable because dead people can’t amend their will. Some living trusts may be irrevocable and can’t be changed even if the trustor changes their mind. Who are involved in the creation of trusts? There are three parties that make up a trust: the trustor, trustee and beneficiary. All three are required to be able to establish a trust. Trustors are responsible for drawing up the legal documents that list and explain the objectives of the trust. Trustors may be active participants in the management of the trust, but they may also just be the person who draws up the legal documents. The trustee is the legal owner of the assets that will go into the fund and are also responsible for managing assets according to the trust’s objectives and the existing laws. Trustees only own the trust’s assets by name to enable them to properly manage the fund’s underlying assets according to its investment strategies. They have no claim to the assets unless they are also a beneficiary of the trust. Beneficiaries, on the other hand, are people or entities that are set to benefit from the trust. Since their role is mainly to benefit from the trust’s assets, beneficiaries don’t need to actively participate in the trust’s management. What are the requirements to create a trust? Different trust types and objectives require different instruments and mechanisms to establish and maintain; however, there are some information that must always be present in all trusts. For example, a trust instrument may indicate that, in case of the death of the trustor, all their assets will be transferred to their biological child only. It could also state that one trustee will replace the current trustee if the latter cannot fulfil their duties for three months. In what ways can trustors fund trusts? 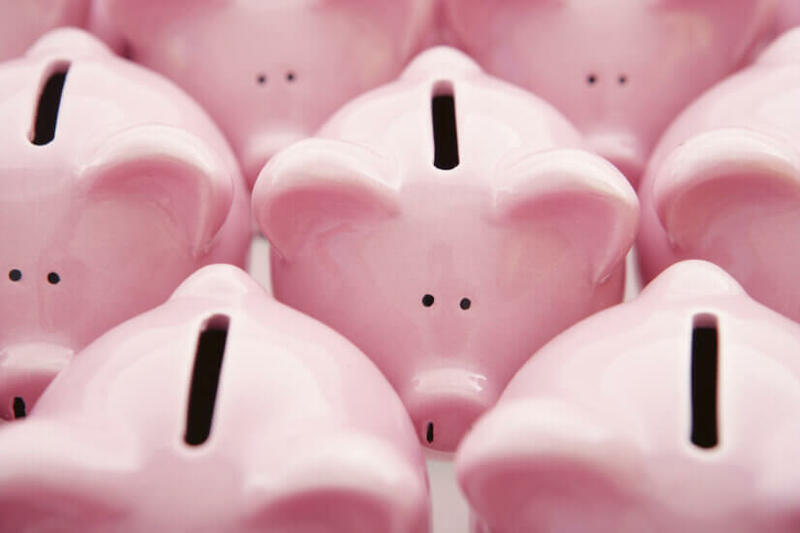 There are many ways to fund trusts aside from directly depositing cash into a bank account. Assign assets to the trust by creating a document that provides details about the asset. This document should be signed by the trustee and trustor. Split the legal and beneficial ownership of properties and assign legal ownership to the trust. This may be done by drawing up a Declaration or Acknowledgement of Trust (for real properties) or any legal document that financial institutions require. Fill out a beneficiary designation form for a bank account or insurance policy and name the trust as the intended beneficiary. This way, the trustee would be able to act on their duties should anything happen to the trustor. Where do super trust funds come in? Super funds and SMSFs are both revocable living trusts. Professionally managed supers already take effect as soon as the employee chooses an investment strategy and begins making contributions to the fund. In this case, the employee acts as both trustor and beneficiary. SMSF trusts are established as soon as the trustees register the SMSF. If the SMSF is a corporate trust, the corporation acts as a trustee instead. Both managed supers and SMSFs may change the terms of their investment strategies and membership, as they see fit. In terms of individual roles within the trust, managed funds differ from SMSFs. For professionally managed funds, the trustors are the fund members since they select the investment strategies and inject assets into the fund. The trustees are the fund managers who are responsible for ensuring that the trust objectives are met and the beneficiaries are the members who will receive the super benefits upon their retirement. This arrangement differs in SMSFs because its members must take up all three roles. The Trustee Declaration functions as the SMSF’s trust instrument because it contains all the necessary information about the trust and trustee. Funding, comes from each trustor and trustee’s contributions, whether through guaranteed contributions, salary-sacrifice, or voluntary contribution of properties and other assets.